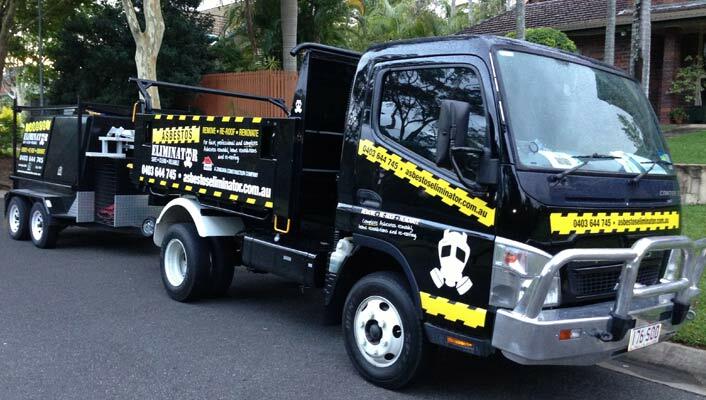 With over 10 years of proven experience in the Queensland construction and asbestos removal industry, our dedicated and professional team offers customers fully-integrated removal of asbestos and related services in and around the Brisbane & Gold Coast region. Our asbestos disposal services cover all other properties over-exposed to asbestos. We use the latest technologies and advanced equipment to guarantee effective asbestos disposal that solves your problem safely. All of our contractors are professionally-trained and fully-qualified and follow our strict guidelines for safety at the workplace. This ensures us to be able to deliver reliable services and unbiased advice to our clients. The risk of contracting asbestos related diseases like asbestosis, mesothelioma and lung cancer increases with asbestos exposure, inhaling asbestos fibres is a serious health risk. If you live or work in areas with asbestos cement sheeting, asbestos drainage pipes, asbestos roof or gutters then you are at risk. To request an asbestos inspection at your property, or if you are interested in getting a free no-obligation quotation for our asbestos removal service in Brisbane, Brisbane NorthSide, Brisbane Southside and Gold Coast, feel free to drop a line. We are a sought after Asbestos Roof Removal Contractor, See our specialist Asbestos Roof Removal team in action. With a commitment to quality service and safety, Asbestos Eliminator is the right contractor for your project! Our new asbestos truck ready for action!